Samantha Paradise Villa is 150m2, has four bedrooms, is set in its own grounds of 12 stremmata planted with palm trees, orange trees and olives and has its own private beach at the end of the beautiful flower garden, just 50m from the villa which is great for sunbathing, water sports, fishing and surfing . Fully equipped kitchen, elegant decor and comfortable living room with fireplace are just some of the things that Samantha Paradise has to offer to people looking for accommodation near Nafplio in an idyllic location. At just 8kms from Nafplion and 11kms frm Argos the villa is situated in a perfect location for visitors wishing to combine a beach holiday during the summer with the culture of the Peloponnese and in particular the Argolida which are of great historic importance. Archaeological sites such as the Ancient Theatre Argos, the Ancient Theatre of Epidavros, Mycenae, Nemea, Ancient Asini and Ancient Tiryns are just a short journey away by car and Mystra, Sparta, Olympia, Monemvasia, Diros Caves & Delphi all easily reachable in day trip. We have spared no expense with the decor, location and amenities available to ensure our guests have the most relaxing and comfortable holiday possible during their stay in Kiveri. 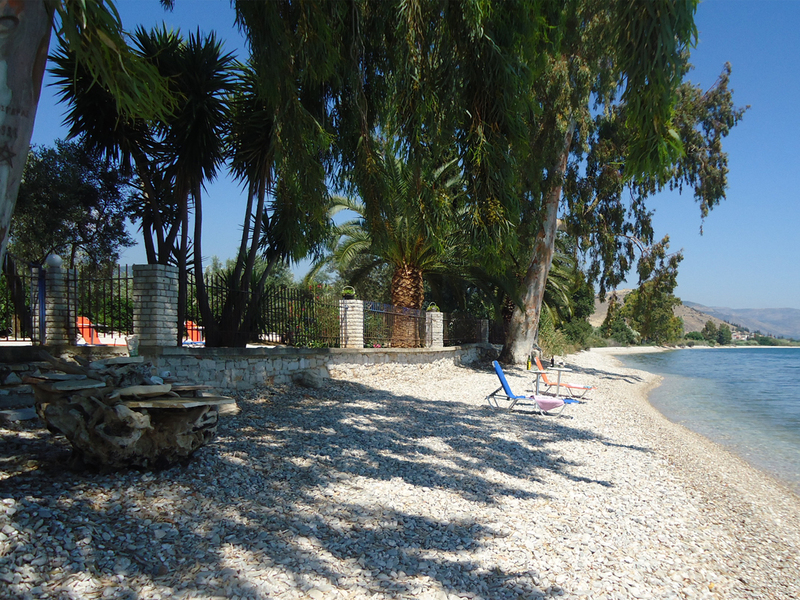 Highlights: Private beach, wonderful flower garden, accommodates up to 10 persons, close proxmity to Nafplion places of interest, breakfast & other meals available on request, ideal for fishing & water sports, tour guide available at an extra charge.